You have probably heard the word Disney before. Come on, who hasn’t? You’ve seen Disney movies, watched Disney TV shows, and maybe even visited Disneyland or Walt Disney World. Did you know there were two brothers with the last name of Disney who created this entertainment empire? Walt and Roy Disney built the world’s most popular theme parks and brought to life some of the best-known cartoon characters in family entertainment. The story of their lives is a wonderful tale of hard work, determination, and cooperation. 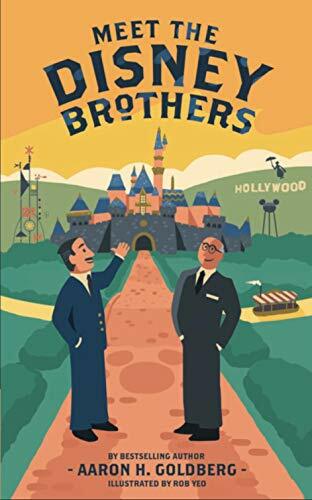 While this book is primarily about Walt Disney, his story can’t be properly told without including his older brother Roy and the strong bond between siblings that propelled them to worldwide fame and fortune. Illustrations throughout this biography help tell the story of how two farm boys from the Midwest went on to build one of the world’s most successful entertainment companies.